The Nightingales may have been around forever, but the current version, and the latest album, are as good as they’ve ever been. The Nightingales are amongst the very first post punk bands and have forged a cultural legacy that has seen them become highly influential, cited by many as a real inspiration. The Birmingham lads always give a mighty performance and remain absolutely vital. 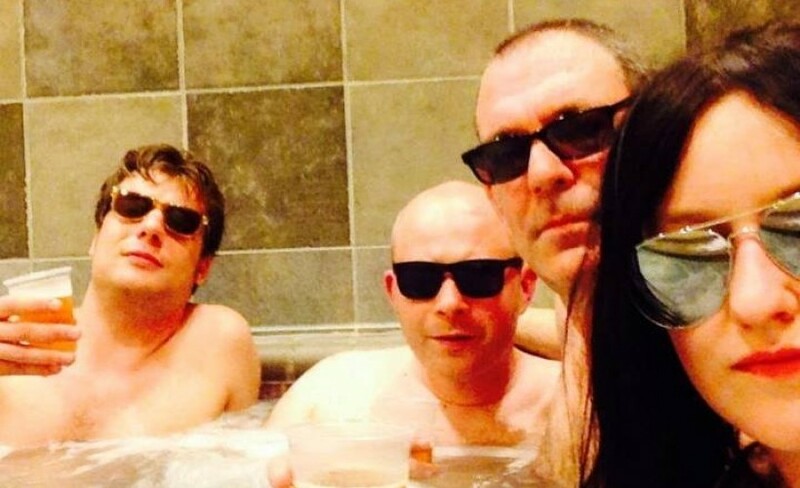 The seminal band have just announced a massive tour which takes them to Le Pub at Newport in June followed by The Cellar Bar at Oxford, Bristol’s Exchange and Wedgewood Rooms at Portsmouth during September at The Moth Club at London in October 2018. The seminal band have just announced a massive gig taking place at Newhampton Arts Centre on Sunday 21st of April 2019. As the excitement builds the word is spreading. We expect massive demand for The Nightingales tickets and so it is really important to act fast and book yours before they are all snatched up. Fortunately, placing any orders for gig tickets with Gigantic is made easy as you can access our site 24/7 using your computer, tablet or smartphone whist relaxing at home or whilst out and about. After a series of low-key UK school bands, Robert Lloyd (b. 1959, Cannock, Staffordshire, England) formed the Prefects - one of the earliest punk bands - who toured with the Clash. They split up in 1979 and Lloyd assembled the Nightingales using the best of the musicians who had passed through the ranks of the Prefects. The first of many subsequent line-ups comprised Lloyd, Alan and Paul Apperley, Joe Crow and Eamonn Duffy. They were ably championed by BBC Radio 1 disc jockey John Peel, for whom Lloyd recorded more sessions under various guises than any other artist. The Nightingales’ debut single, ‘Idiot Strength’, was released in 1981 on the band’s own Vindaloo label in association with Rough Trade Records. Joe Crow then departed and his replacements, Nick Beales and Andy Lloyd, brought a totally different sound to the band. Cherry Red Records picked them up and the band’s career began in earnest. Lloyd soon established himself as one of the more interesting lyricists on the independent chart. Most of his tirades were draped in humour: ‘I’m too tired to do anything today, but tomorrow I’ll start my diet, and answer some of my fan mail (‘Elvis: The Last Ten Days’). The lack of success of subsequent releases led Lloyd and friends to the new Red Flame label started by Dave Kitson, the promoter of the Moonlight Club in London’s Hampstead. Still unhappy with the way record companies were handling his band’s career, Lloyd decided to reactivate the Vindaloo label. Ironically, this led to the demise of the Nightingales as Lloyd needed to spend more time as songwriter, producer and label boss for his relatively successful roster of artists such as We’ve Got A Fuzzbox And We’re Gonna Use It and comedian Ted Chippington. When Fuzzbox toured America, taking the Nightingales’ keyboard player with them, Lloyd dissolved the band and concentrated on a solo career. We are very pleased to be able to offer you The Nightingales concert tickets, but with only limited supplies you will need to act fast and ensure you book yours before they are all taken. By providing the very best customer service with a huge range of essential gig tickets, Gigantic is the perfect place to come whenever you are booking for your big night out.